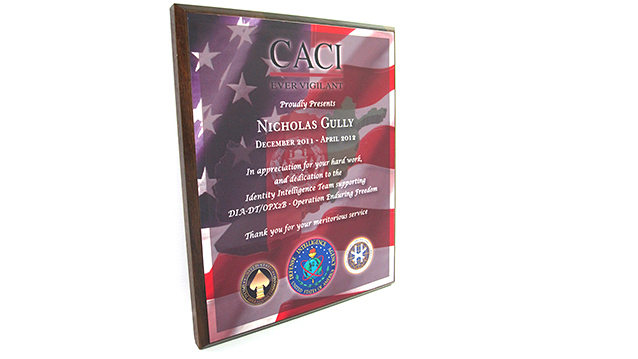 Plaques - Hightech Signs, Inc.
Hightech Signs in Charlottesville makes plaques for awards, recognitions and commemorations. 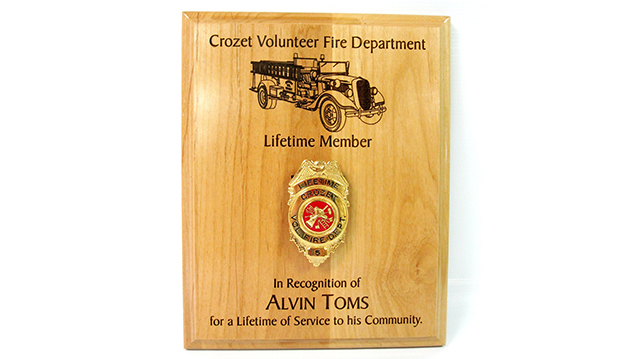 With personalized customer service, we guide you through every step of designing the perfect plaque for your occasion. 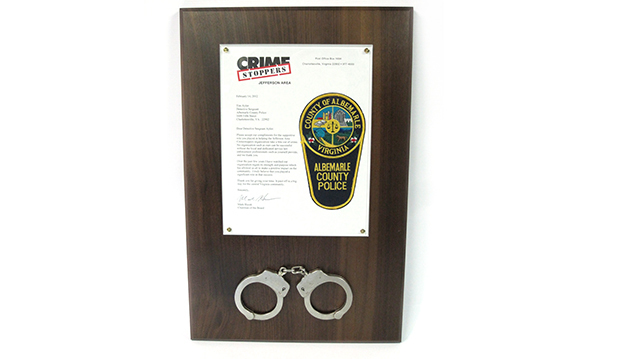 From materials, mounting, and design choices, we are ready to help you create a beautiful, professional presentation. 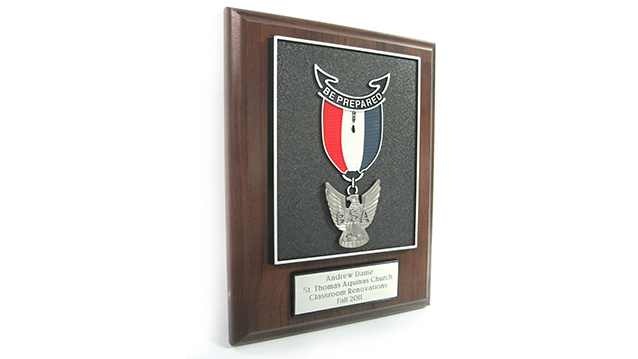 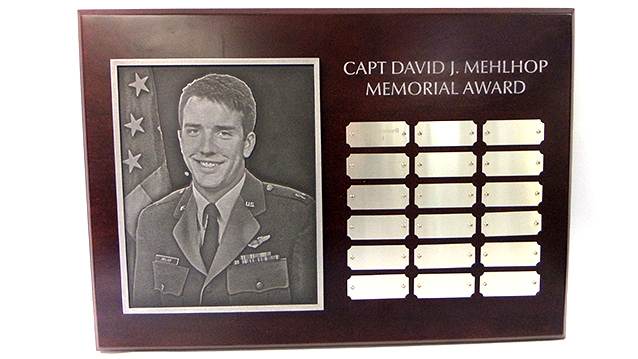 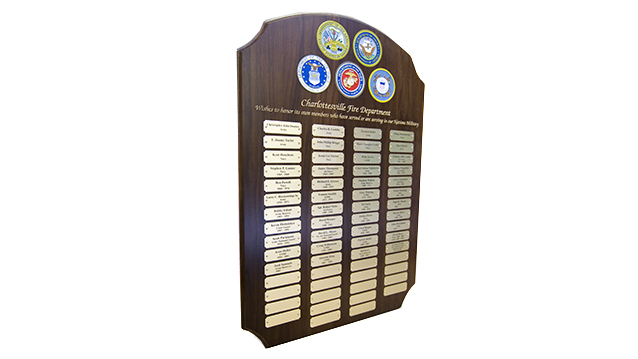 Retirements, military service recognition, and student achievement are custom engraved onto brass plates, wood panels or acrylic materials. 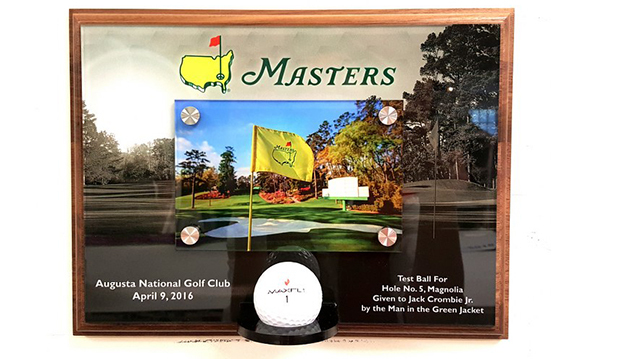 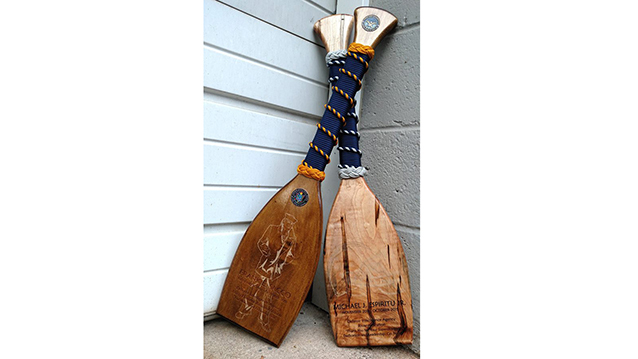 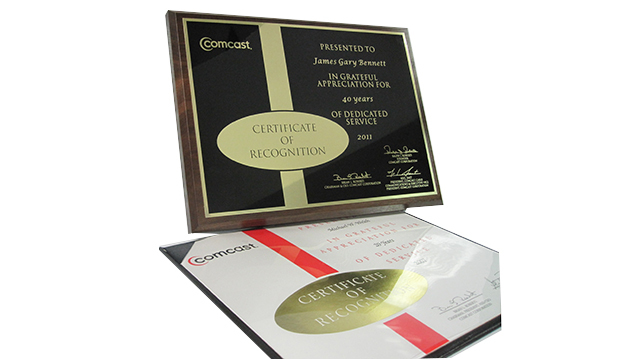 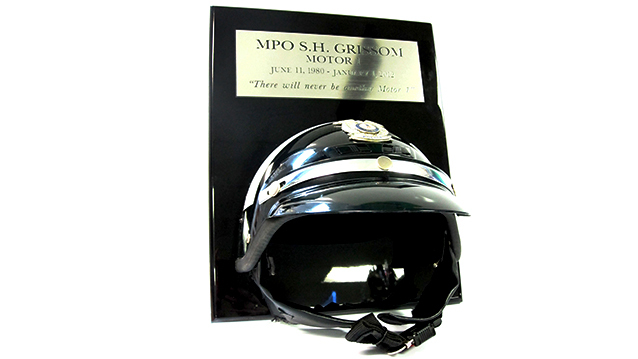 We are a fully custom shop with the ability to mount memorabilia onto the customized award plaque of your choice.